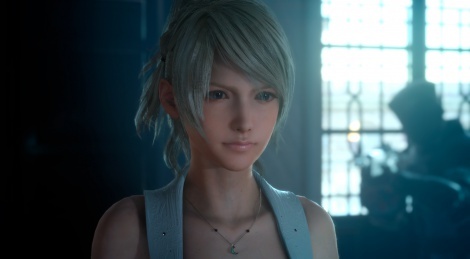 Square Enix has released an updated cut of the Dawn Engine trailer of Final Fantasy XV which shows new footage of Noctis and Luna. Plus new screenshots. Update: As promised, a better quality version added as well as the Location & Hunting video. Looks awesome, can't wait. Weird of them to actual release the obviously incomplete screenshot showing the chocobos though, lol. Much better than the extremely disappointing original Dawn Trailer. Is this the new Dawn Trailer that was to be shown in the next Active Time Report? Or just a shorter version? Also, the quality here is pretty decent. A lot better than the youtube version, I say. I think this is the full teaser trailer. They'll just talk about it in detail at the ATR and then show new gameplay footage. Really impressive. I like the hair. 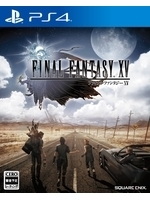 Isn't FF XV made by Luminous Engine? i guess they forgot to implement AA in their engine? Yeah it is. Just a title error by gamersyde. Oh you've played the final product? Can I borrow your time machine? Wonder if all of this from Verses is still in there https://www.youtube.com/watch?v=uQ7MwTXYLpg trailer alludes to it. Some people just don´t give a damn about some jaggies. That whole part of the party in the skyscraper has been cut out. The beginning of the story has been changed a bit. Originally, Noctis and co would be in the capital when the Empire begins attacking. Now, it's been changed that Noctis and co. are out of the capital when the attack begins. They were on their way to meet Luna for a political wedding and then turn back when they see Empire airships making their way to the capital. The chocobo screen with blurriness and jaggies just looks like a poor capture of an indevelopment area. The other screens have no jaggies at all and it actually shows a huge improvement over the blurry post-processing AA in previous builds that smeared the whole image quality. The new screens actually look really crisp and clean (outside the chocobo one). Harder to notice the jaggies in the dark. But they're there, and eye stabbingly bad. (See plastic chairs in the background) the game seems to handle things close up relatively well, mid to long range though and its some of the worst aliasing i've seen. I wouldn't be surprised if it had no AA at all. Looks great. Would look _fantastic_ with some sort of temporal anti-aliasing, especially for the hair. If it doesn't take a hit to performance some multisampling would be nice. the cut-scenes look great. gameplay looks like it's lacking proper lighting highlights on characters. Most of the aliasing is happening in the hair, and that's expected no matter how good your AA is with hair that fine. There's some hyperbole flying around here. This really isn't that impressive in 2015. Plus it isn't gameplay. The only thing that makes this seem superficially impressive is all the 1980s big stringy hair everywhere, but even some of that is very aliased. Everything else looked quite average. The other screens have no jaggies at all and it actually shows a huge improvement over the blurry post-processing AA in previous builds that smeared the whole image quality. The new screens actually look really crisp and clean (outside the chocobo one).